The Nation’s Leading Religion Series Just Got Better! 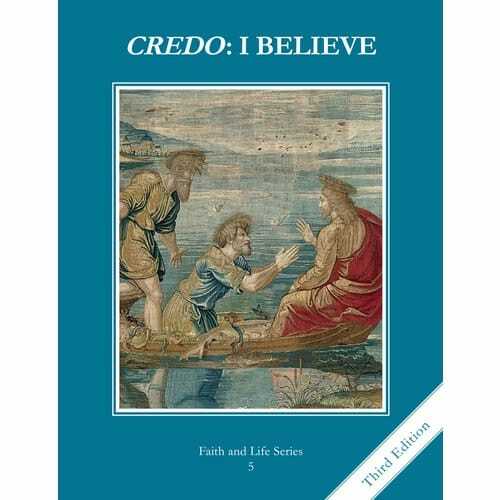 The student textbook lessons incorporate the four principal components of catechesis: the Creed, the Commandments, the Sacraments and Liturgy, Prayer and Scripture. But besides giving a clear and comprehensive presentation of our faith, the student textbook is rich in artwork, both original and classical. SEQUENCE: Unit 1: God the Father of All. The Old Testament and mankind's participation in and loss of God's life. Unit 2: God the Son, the Redeemer. The fulfillment of God's plan in Christ, God and Man. Unit 3: God, the Holy Spirit, the Sanctifier. Our call to holiness and witness in the Church. AIM: To help fifth grade students acquire a solid and specific knowledge of God and his Church through the understanding of the Creed we profess, and the distinguished truths of our faith from error that leads away from love of God.